We launched this site almost a year ago; its documentary data base highlight more and more our goal "to help the development and enhancement of the Church of Saint Martin in its neighborhood in L’Aigle” and our last researches are proof of it. Thus, the main change is in the category: Summary of 1000 years of History. This allows to trace the major events and actors ((Kings / Presidents, Clergy, Barons / Mayors, famous people) thru 5 periods of History. 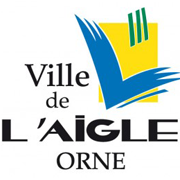 This new research brings value to our web site thru the different search servers as well as the sites of our partners: City of L’Aigle, Tourism Organizations (Ouche in Normandy, Orne in Normandy, Normandy Tourism, The Paths of St Michel). All of this results in more and more people visiting the site and a favorable bounce rate. Statistics show that the Church of Saint Martin welcomes more and more visitors and this is encouraging. So don’t hesitate to send us your comments, questions or advices, by contacting us.